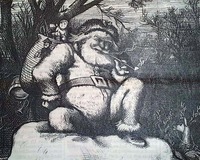 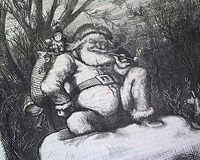 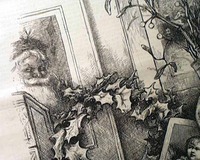 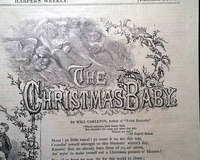 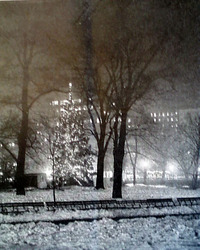 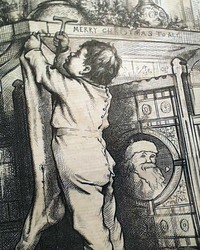 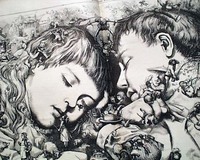 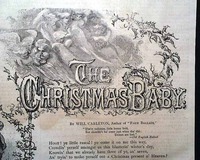 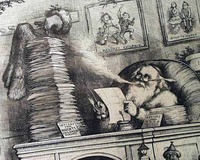 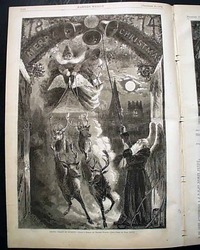 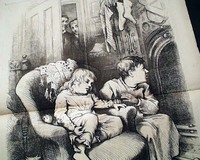 This is a single-page poem and print engraving entitled "The Christmas Baby" by Will Carleton. 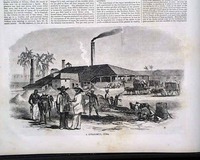 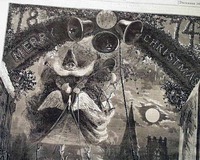 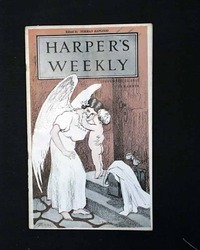 This is accompanied by seven small illustrations -- angels; a church; a father and his children; a lady making a visit; children playing; a cemetery; and a father holding a newborn baby. 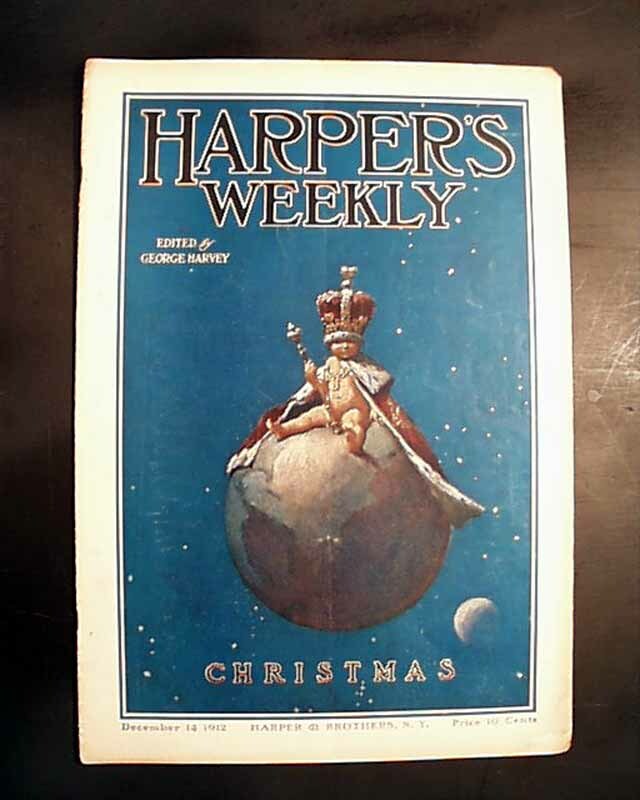 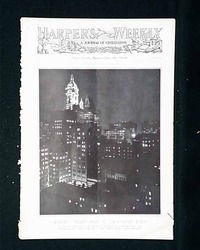 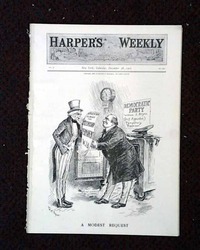 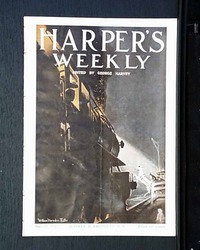 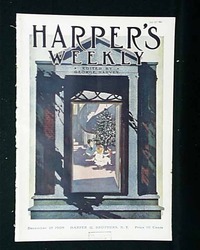 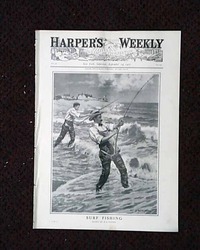 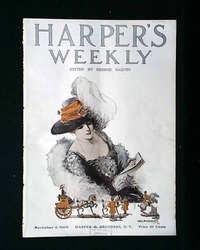 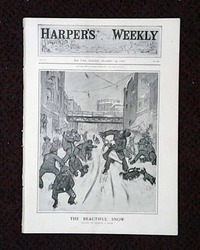 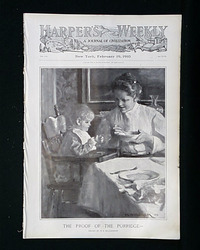 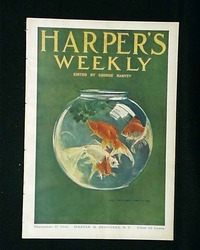 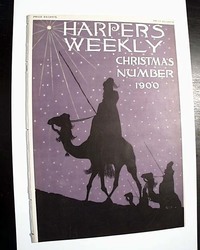 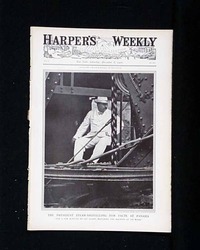 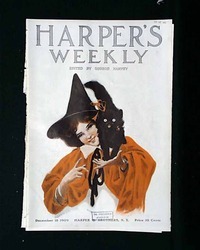 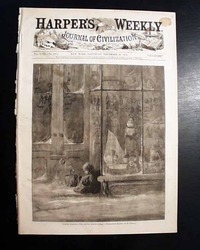 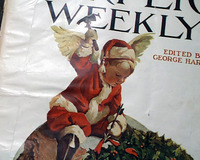 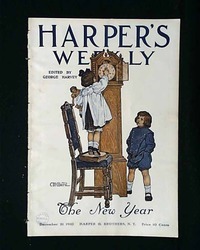 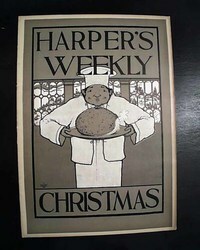 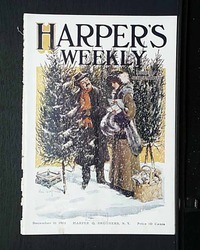 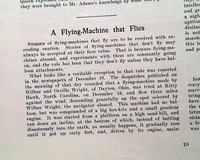 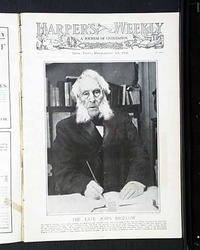 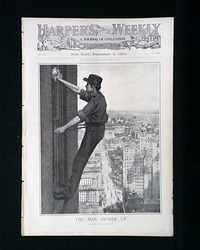 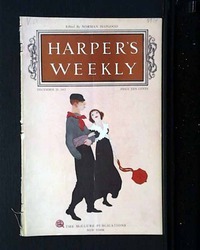 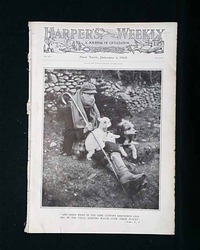 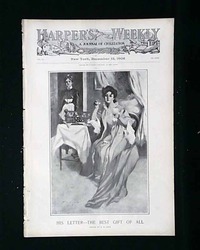 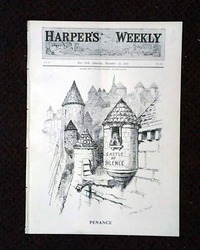 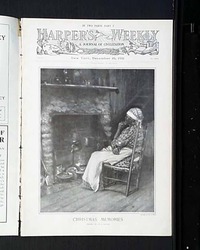 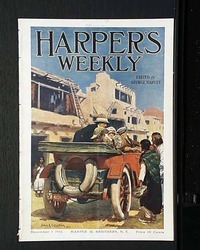 HARPER'S WEEKLY, from New York City, dated December 20, 1913. 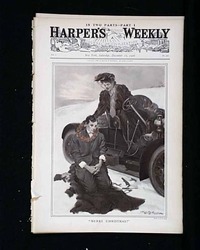 This issue has a color cover sheet over it. 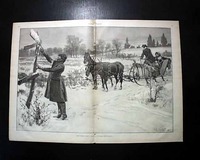 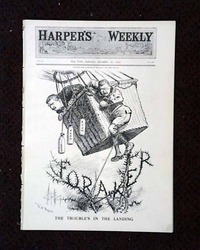 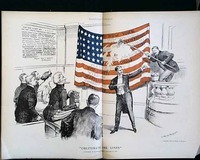 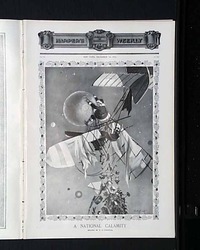 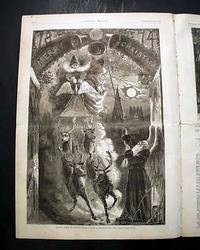 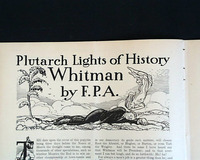 The front page of this issue has an illustration of "The Man Higher Up" by G. J. Perrett. 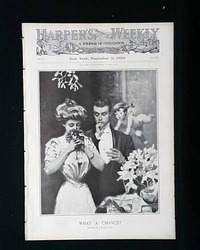 HARPER'S WEEKLY, New York, November 6, 1909 There is a color cover on this issue.The front page of this issue has a photo of "New York's Next Mayor." 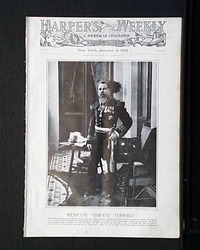 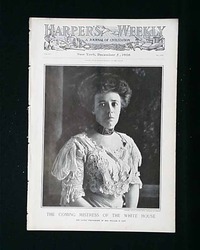 HARPER'S WEEKLY, New York, December 5, 1908 The front page of this issue has a photo of "The Coming Mistress of the White House", the latest photograph of Mrs. William H. Taft.